NSERC Funding Announcement – CREATE – oN DuTy! 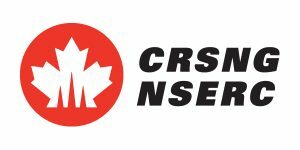 We are happy to inform you that the NSERC CREATE Program announcement is confirmed for 11:00 am (ET) on Monday, November 27 at Carleton University in Ottawa, Ontario. The Minister of Sports and Persons with Disabilities, Kent Hehr will make the announcement on behalf of the Minister of Science, Kirsty Duncan. The CREATE Program improves the mentoring of, and training environment for, the Canadian researchers of tomorrow by improving areas such as communication, collaboration and professional skills; and providing experience relevant to both academic and non-academic research environments.